Veteran Teesside grime MC Blitz is only just beginning to earn the plaudits he has deserved for years. This April, expect his stock to rise when legendary UK hip-hop DJ Tim Westwood unleashes Liverpool representer Tremz’ Crib Session featuring Blitz. Alongside his TGF cohort, Blitz been putting in the work to establish grime in Teesside. Through critically acclaimed music and performing alongside the UK’s best MCs, TGF have opened doors for local artists to reach the national stage. His album Greaze Fest is the next step in Blitz’ mission to build a better future for himself and more importantly, for his hometown. With Greaze Fest, released on 25th March, Blitz is going bar-for-bar with a barrage of the most respected artists in the UK including Sox, Eyez and Nolay. Having has always represented his Teesside roots with unparalleled passion, there’s no sign of that changing anytime soon. Although he’s reaching further afield for some features, the four-track tape also taps verses from Paddy and YH – a fellow TGF artist. 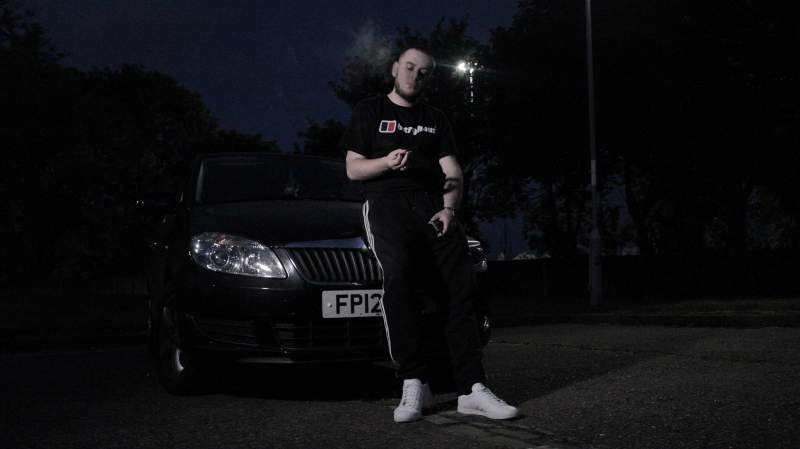 Aside from A Class, who has produced for the likes of Jaykae and Nines, the rest of Greaze Fest’s production comes from ‘Boro-based beatsmiths including Naughty40 and TGF’s Fowlz and Proj Derelik. Keep your eyes peeled for Blitz bodying Tremz’ Crib Session with Tim Westwood this month and another TGF Sound Of The Tees event to be announced in May.